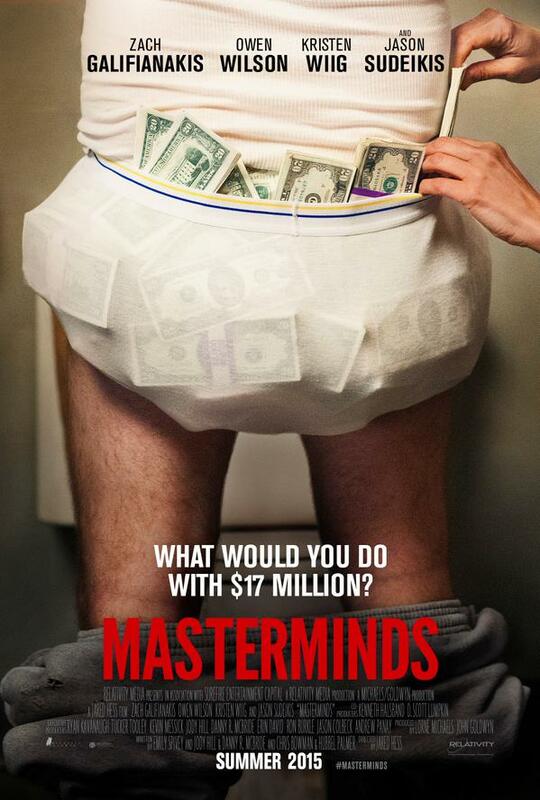 Get a first look at upcoming comedy Masterminds starring Zach Galifianakis, Owen Wilson, Kristen Wiig, and Jason Sudeikis with the official teaser trailer and character posters. In this action comedy inspired by true events (directed by Jared Hess) David Ghantt (Zach Galifianakis) discovers the true meaning of adventure far beyond his wildest dreams. He is an uncomplicated man stuck in a monotonous life. Day in and day out he drives an armored vehicle, transporting millions of other people’s money with no escape in sight. The only glimmer of excitement is his flirtatious work crush Kelly Campbell (Kristen Wiig) who soon lures him into the scheme of a lifetime.